This is a very good and the way to go. The TNA represents the majority of the people in the North and the East and they need to have a say. Just building roads to nowhere and culverts for commission does not solve the problems of the people. As an example what has the Hambanthota seaport and the airport given to the peasants in the south? Nothing. Only commission to a few thugs who wear the "Patriot Mask". This is very bad. Helping war effected TNA and the so called diaspora not done any thing for these people since the end of war. 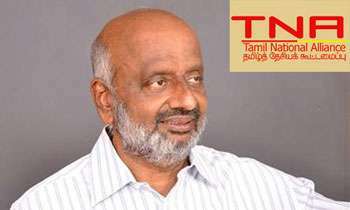 UNP to gain TNA support, it's very ugly thing to do. Govt should have go it alone. If TNA and the diaspora wants to help these innocent people they can join. P.M should not allow these people to high jack the govt programs.